Certain films find a way of creeping into your brain because they invite you to explore whole new worlds that continue well beyond their final frames. These movies force you to keep looking for answers to questions posed not just by their narratives and characters, but by the times that shaped them. They’re my favorite Criterion editions to research, but they’re also the most challenging. 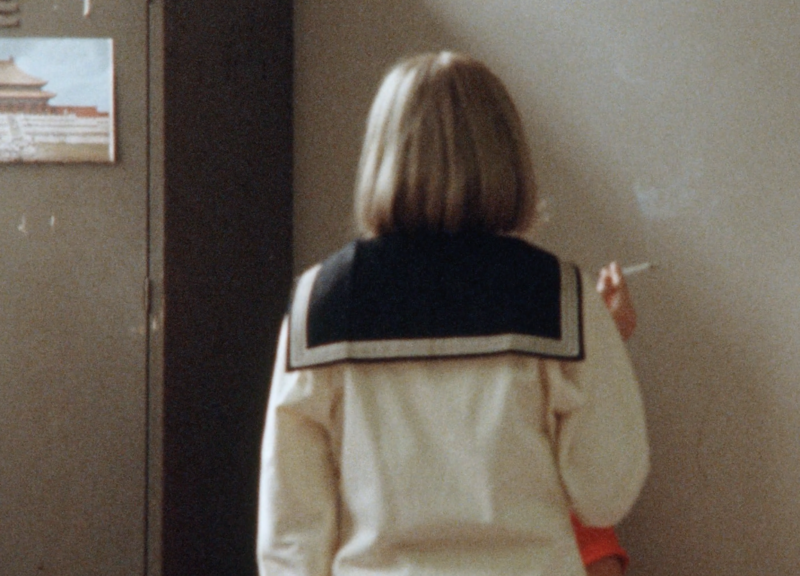 More often than not, these are lesser known films, created by artists who lived and worked—not always by choice—on the periphery of the industry. Because of this, the details of their lives tend to fade into obscurity or get condensed into juicy morsels of trivia that fail to provide any proper context for their work. 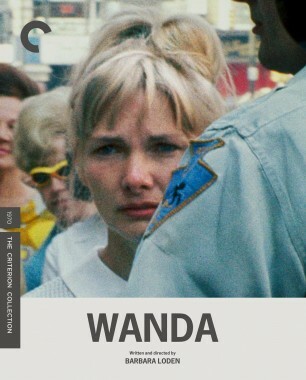 When Criterion producer Kate Elmore and I started working on an edition of Wanda, Barbara Loden’s sole feature as a director, we knew we were embarking on one of those projects. Shot on a shoestring budget and neglected for decades, this beautiful portrait of the existential misfortunes of a working-class woman stuck deep in the heart of Pennsylvania coal miner country had a backstory that took some effort to fill out. While Loden was consistently eloquent when she spoke about her creative process on the talk-show circuit at the time of the movie’s release, Kate and I noticed a tendency among most interviewers to not treat her work behind the camera seriously. We encountered the media’s inability to see past the sexual façade that had become a part of her public persona thanks to roles such as the Marilyn Monroe–inspired character in Arthur Miller’s play After the Fall. It made our job—creating a three-dimensional portrait of this film and the woman who made it—tough from the get-go. Loden had a tumultuous marriage with Elia Kazan, who had cast her in Splendor in the Grass, from 1967 until her death in 1980. While reading Elia Kazan: A Life, Kate found an intriguing mention of a West German camera crew that came to New York to shoot Loden at work and at home in the spring of 1980, just months before she prematurely succumbed to cancer that September. 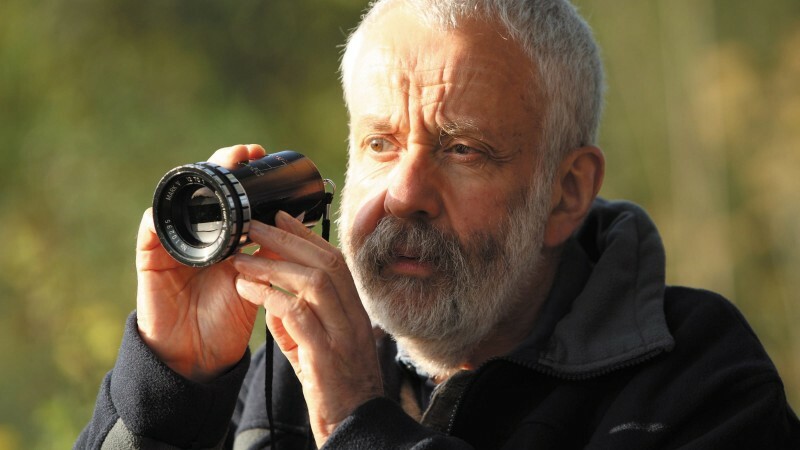 From this description, we were on a path that led us to Katja Raganelli, the Croatian-German filmmaker who directed the documentary alongside her late husband, Konrad Wickler, and a screener of I Am Wanda, the film they made on that visit. I’ve spent countless hours on the job watching artist portraits. They are often formulaic and reductive. I Am Wanda is not one of those documentaries. 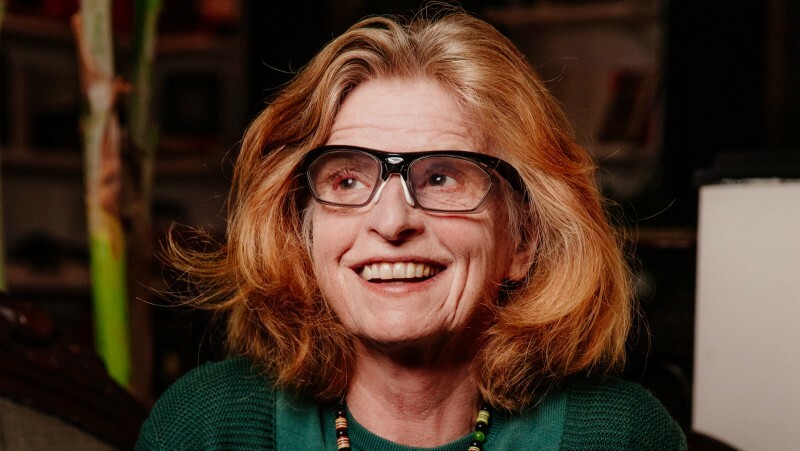 These are sixty minutes we spend living with Loden, watching her as she reads at home with Elia and the kids or teaches students in the acting workshop that provided her such an important creative lifeline in her final years. Just when we’re absorbed in the richness of these quotidian scenes, we’re back with her in her study, on the receiving end of her poetic yet succinct thoughts about . . . well, everything: her childhood, her art, and how Wanda was an expression of it all. We’re left with a film about a woman who seized the opportunity to leave a record of her life in her own words just as she was facing death. None of it feels exploitative or invasive, and it’s because Raganelli listens to Loden. She gives her subject the freedom to speak freely, as if no one is watching. I wanted to hear more from Raganelli about I Am Wanda and the rest of her body of work, which includes dozens of documentaries probing into the work and personalities of a diverse list of directors that includes Dorothy Arzner and Jean-Luc Godard. She wrote to me from her home in Munich about what she remembers of her special time with Loden. Raganelli’s responses were translated from the German by Nadine Lübbeling. 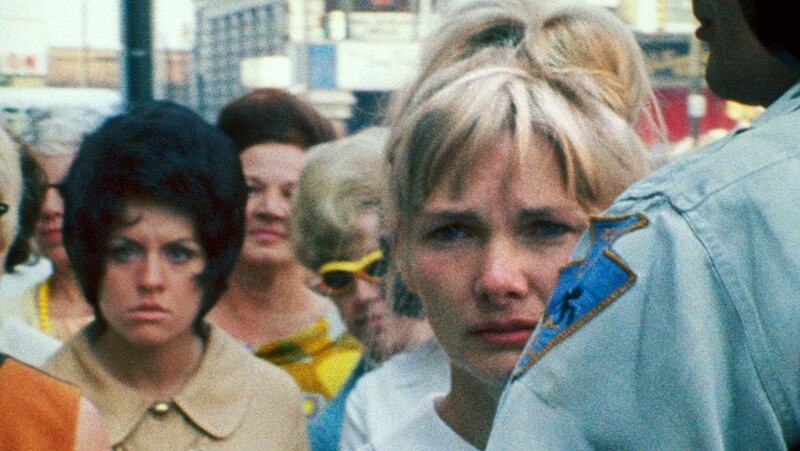 At the beginning of I Am Wanda, you mention first encountering Barbara Loden’s film at the Venice Film Festival in 1970. Where were you on your path as a filmmaker? When I was a student at the University of Television and Film Munich in the early seventies, there were only three women in our feature filmmaking class; the rest were men who would get really famous later on, like Wim Wenders. Of course, the male students got favored. Still, it didn’t discourage me. I first saw Wanda during that time, and I realized that we women mustn’t ever stop sharing our creativity, even if we have to overcome all these obstacles. There is a different perspective on life in our narratives and the images we use, in our thematic diversity and emotional depth. I was deeply impressed by the film. I asked myself, what kind of woman is Barbara Loden? What kind of relationship did she have with Elia Kazan? Why did she make such a movie? Later, after quitting the university in 1972, I had some experiences that made me even more aware of the situation of women in the industry. By then, I had made a successful short film that had played at the film festival in Oberhausen, and my thesis film had been broadcast on television. I wanted to adapt Liebeszauber, a short story by Ludwig Tieck, and I wrote the script and pitched it to several broadcast stations. They liked it, but they wanted to attach a very famous male director to it. How did the project with Loden finally come about? I had already been making films that drew attention to the challenges of being a woman in this field. They were portraits of women who had succeeded in this male-dominated world. My first was of Agnès Varda, made in 1977. That documentary was a powerful motivation for me to keep on producing. That’s how my series of women in film came together, spanning from the first female filmmaker, Alice Guy Blaché, to today. 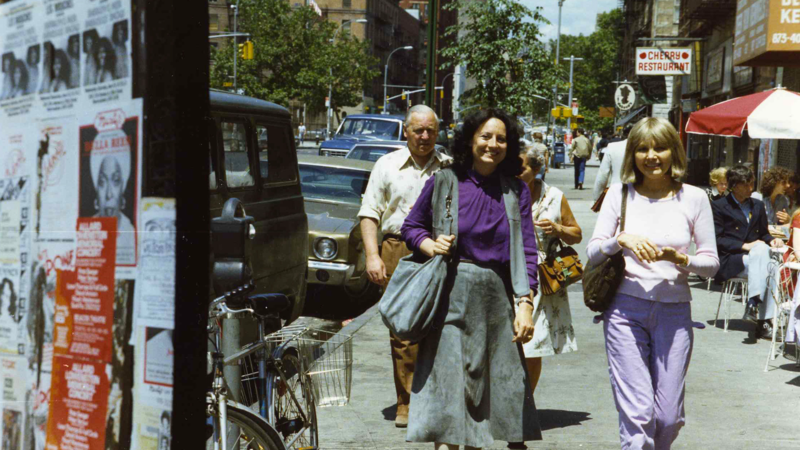 In the summer of 1980, Konrad and I went to New York to produce a documentary about the history of women working in the American film industry. We visited Joan Micklin Silver and found out that Barbara Loden taught acting at Lincoln Center. She gave us Barbara’s phone number. I called her and we made plans to visit her. I told Konrad to bring a tape recorder and camera to Lincoln Center. The class had just started. Some of the workshop participants were experienced actors, like Rutanya Alda, who played the Russian bride in The Deer Hunter, and Richard Bright, who was in The Godfather. We introduced ourselves to Barbara and asked her if we could film her work. She was forty-eight years old, but she looked young in her mariner outfit with her straight blond hair—attractive and almost girlish. She was very friendly toward us and let us film her class. What was that first encounter with her like? I had the impression that she wanted to test our working method. We never interrupted her, never asked for a repetition, didn’t turn on the lights. We were barely noticeable, and maybe that convinced her to trust us. She immediately agreed to our proposal to make a film about her. The next day, we were invited to her house on West 86 Street. When we interviewed her in her office, it was just Konrad, the producer, the sound mixer, and me in the room. The mood was very calm but also intense. The room was like Noah’s Ark, filled with memorabilia from Barbara’s life, and it had a dense and creative working atmosphere. There were shelves on the wall with books by Maharaj Charan Singh, who had a huge impact on her life philosophy. In the middle of the gloomy room was a huge desk fully loaded with manuscripts, and to the left of the desk stood an ironing board like a boundary, as if Barbara wanted to signal to any intruder: Not any further! This is my world! As soon as Konrad set up his camera, Barbara reacted with sympathy for our little team. What followed were intensive shoot days unlike anything I had never experienced in my work before. One of the things that immediately struck me about I Am Wanda is how delicate your touch is. You interject on the voice-over to add context when necessary, but you really let her just lead you wherever she wants. How did you go about capturing her? When I’ve made portraits of historical figures—such as Alice Guy Blaché, Lois Weber, and Lotte Reininger—I’ve written detailed scripts with comments, but I worked differently when my subject was someone still actively working, such as Liv Ullmann or Margarethe von Trotta. In those cases, I’ve learned that I get to know a lot about my subject if I listen to her intensively. Before shooting, I try to broaden my knowledge as much as possible. I watch and analyze all the movies, read any writing there is on the subject, and get as deep into the biography as possible. When I have sufficient information about the artist, I speak with her in her environment to test her charisma. Afterward, I decide if I want to make a movie. I never use my power to expose someone; instead, I try to impart an understanding of the person. The questions that I ask don’t contain any prior knowledge; they serve to get answers that even a person without any information can understand. 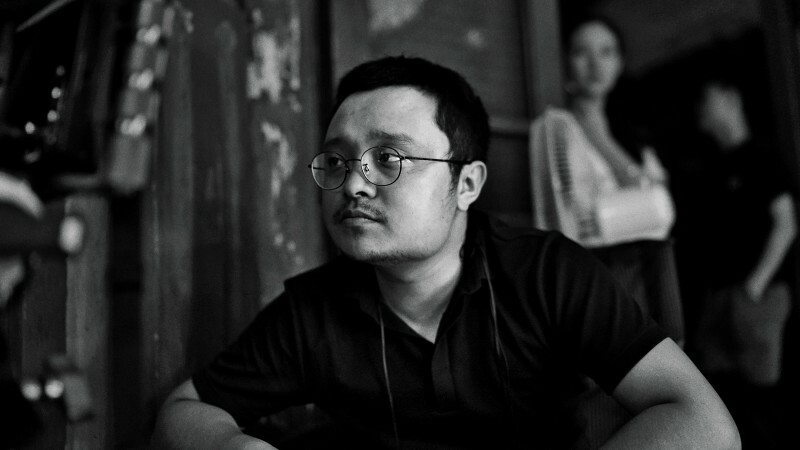 I withdraw myself during the filming, and then I develop a very precise concept during the editing. Barbara’s illness, which you describe in voice-over, weighs heavily throughout this film. We can’t escape the sense of melancholy it adds to the scenes of her life, even though we don’t see her visibly ill. Was this a factor while you were shooting the film, or one that only became inescapable once you had returned home and learned of her passing? During the shoot, I never felt that Barbara was sick. She even wanted to help us carry the lights, which Konrad didn’t allow. However, as when we filmed the family sharing pieces of literature with each other, there were moments that seemed odd to me. We were shooting in her dining room, and there was an antique pendulum clock at the wall. It resembled a set in a Kazan movie from the fifties. The clock was so loud that our sound mixer asked Barbara if it could be stopped until we were done filming. Barbara immediately understood the problem and gave her permission. I suddenly got scared because I remembered that old family superstition: If you stop a clock, someone dies. While Wim had the chance to consciously say goodbye to Ray with sufficient production funding and a big team, our situation was very different. I received the sad news about Barbara’s passing from her acting teacher, Paul Mann. One year later, at the suggestion of Kazan, we reached out to Barbara’s doctor, Samuel Waxman, at the Mount Sinai Hospital. He explained how much she had fought for her survival. Before she came to him, she had seen lots of different healers and tried to overcome her fear of death. She wanted to survive at all costs and continue with her creative work. It’s been almost forty years since you made I Am Wanda. What do you remember most about that experience? Some of our favorite writers and artists share what continues to haunt them about Barbara Loden’s long-neglected 1970 masterpiece, which returns to theaters in a new restoration this week.